Scientists could uncover clues about the formation of the universe by studying a small galaxy currently being consumed by its neighbour. Observations have shown that the "Little Cub" galaxy (which sits inside the constellation Ursa Major, aka Great Bear) is being destroyed by its much larger neighbour: a spiral galaxy called – less imaginatively – "NGC 3359". The gas needed to form new planets is gradually being sucked away from Little Cub – giving experts the perfect opportunity to study how this process happens. Because Little Cub has remained "pristine" up until this point, the process could reveal what the chemical signature of the universe was right after the Big Bang occured. According to calculations, Little Cub and NGC 3359 are between 200 and 300 thousand light years apart. But NGC has roughly 10,000 times as many stars as Little Cub and is therefore draining it of its gas. The scientists say that NGC 3359 is about the same size as our own Milky Way. 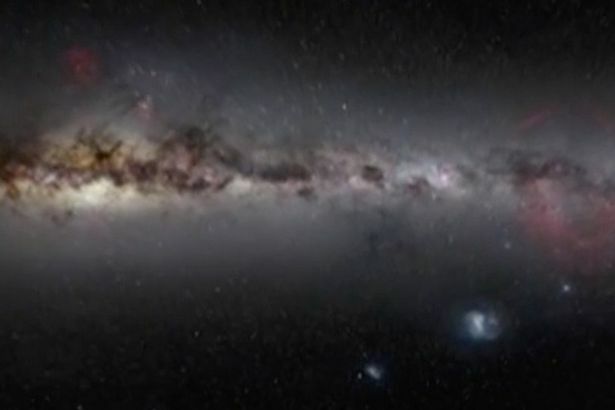 "We may be witnessing the quenching of a near-pristine galaxy as it makes its first passage about a Milky Way-like galaxy," said lead author Tiffany Hsyu, a graduate student in the Department of Astronomy & Astrophysics at UC Santa Cruz. "It is rare for such a tiny galaxy to still contain gas and be forming stars when it is in close proximity to a much larger galaxy so this is a great opportunity to see just how this process works. "Essentially the larger galaxy is removing the fuel that the Little Cub needs to form stars, which will eventually shut down star formation and lead to the smaller galaxy’s demise." As well as watching closely what happens between the two galaxies, researchers are also busy hunting the skies for other pristine galaxies. These are likely to reveal further clues about the chemical signature of the early universe. 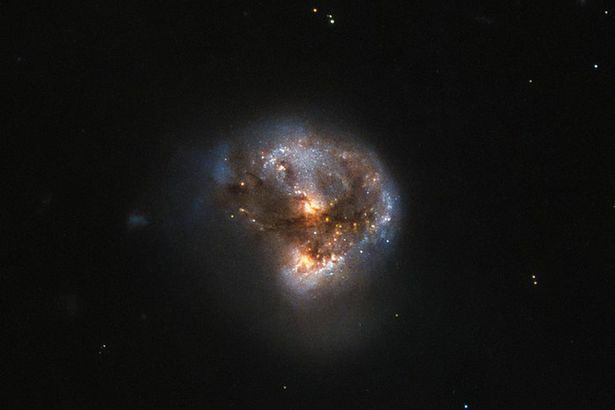 "Such galaxies, which have remained dormant for most of their lives, are believed to contain the chemical elements forged a few minutes after the Big Bang," said Dr Ryan Cooke, a Royal Society University Research Fellow in Durham University’s Centre for Extragalactic Astronomy. "By measuring the relative number of hydrogen and helium atoms in the Little Cub we might be able to learn more about what made up the Universe in the moments after it began 13.7 billion years ago," said Dr. Cooke, who was also a co-author on the Little Cub research.